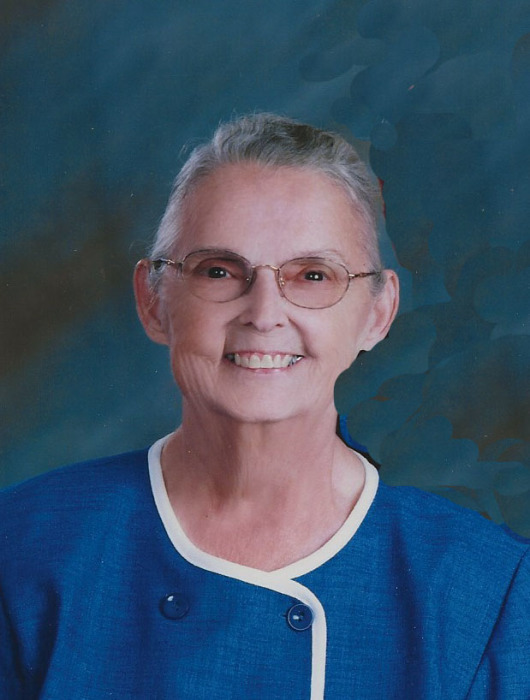 Josephine B. Conner, 84, of Mt. Pleasant, IA, passed away Wednesday, April 25, 2018, at the University of Iowa Hospitals and Clinics. Visitation will be Friday, April 27, 2018, at Olson~Powell Memorial Chapel from noon until 7:00 p.m. with family present from 5:00-7:00 p.m. Funeral services will be Saturday, April 28, 2018, at 2:00 p.m. at Trenton Missionary Church with Rev. David Taylor, Rev. Tony Ross, and Rev. Paul Miller officiating. Burial will be in Green Mound Cemetery. Gifts of love and friendship may be given to Green Mound Cemetery or Pilgrim Nazarene Church. On-line condolences may be directed to www.olsonpowell.com. Born in rural Trenton, IA on April 10, 1934, Josephine Bernice was the daughter of Joseph Lloyd and Alice (Brannon) Graber. She began her education at Eagle School rural Trenton, IA, graduating in the Mt. Pleasant High School class of 1952. On January 21, 1957, she married Charles Curtis Conner at the Bible Missionary parsonage in Mt. Pleasant. Josephine was a homemaker. She also worked at Central States Insurance as a secretary, Ensminger Laundry and Midtown Laundry. She was a charter member of Pilgrim Nazarene Church in Mt. Pleasant and served as their treasurer. Josephine enjoyed music, especially southern gospel. Her priority and focus in life were her faith and family. In addition to her husband, Charles, Josephine is survived by two sons, Marion (Darlene) Conner and Wendell (Deborah) Conner all of Mt. Pleasant; four grandchildren, Jason (Claire) Conner, Bradley Conner, Cassandra “Cassie” Conner, Carissa Conner; two sisters, Ruth (Max) Wyse, and Marilyn Davison all of Mt. Pleasant; two sisters-in-law, Sherry Graber of Mt. Pleasant and Cecille Graber of Burlington, IA; and adopted family, Teri Sandidge, Annette Sammons, and Kenny Gaulke. Preceding her in death were her parents; two brothers, Kenneth Graber and John Graber; and one sister, Esther Hirschy.